Join the cause! 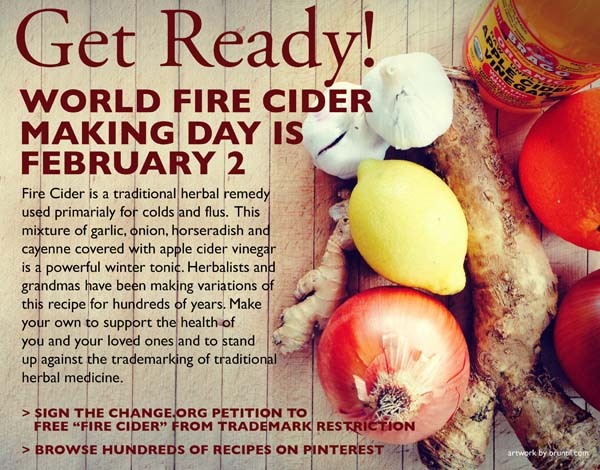 World Fire Cider Making Day is Sunday, February 2. For more information about this cause, please go to my webpage on Herbal Roots zine.